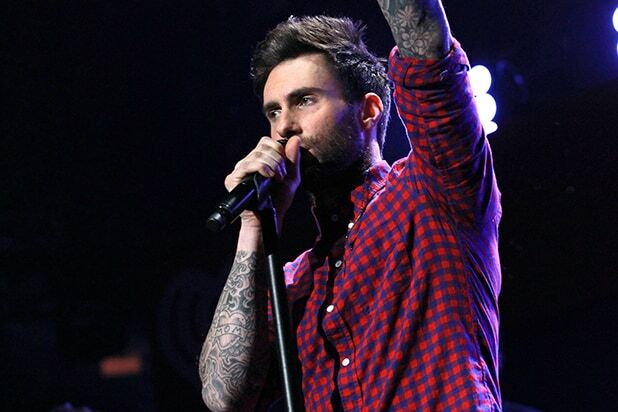 Adam Levine, Maroon 5 frontman and judge on NBC’s “The Voice,” will be joining the star-studded cast of the indie comedy “The Clapper,” TheWrap has learned. The musician-actor will be playing opposite Amanda Seyfried, Tracy Morgan, Russell Peters, Ed Helms, Leah Remini, P.J. Byrne and Mickey Gouch, Jr.
“The Clapper,” written and directed by Dito Montiel from his own book of the same name, centers on an expert clapper for infomercials who gets noticed by a late-night talk show host. The professional clapper’s appearance on the show ends up costing him his job as well as his relationship. Levine will take on the role of Ralph Ranter, a film producer in charge of running a late night show that ends up ruining the clapper’s life. The clapper will be played by Helms. Peters is signed to play the role of the talk-show host. The comedian-turned-actor is best known for his satirical performances on race relations and stereotypes. May 20: "Neighbors 2" vs. "Angry Birds Movie" vs. "The Nice Guys"
Seth Rogen, Rose Byrne and Zac Efron return for some new fraternity high jinks -- and will face off against a 1970s-set film starring Ryan Gosling and Russell Crowe as well as some bitter animated birds based on the popular phone game. May 27: "Alice Through the Looking Glass" vs. "X-Men: Apocalypse"
Two big sequels with wide appeal: "Alice" is a four-quadrant movie, meaning the movie offers something for every demographic. "X-Men" is another film in the popular franchise that already has a huge following, and let's be honest -- Marvel movies do extremely well at the box office. The box office winner may depend on which movie gets the IMAX screens. June 10: "Conjuring 2" vs. "Now You See Me 2" vs. "Warcraft"
This summer day marks the release of two sequels to surprisingly successful movies, while the newcomver "Warcraft" will vie for fans of the popular video game. Two classics are hitting theaters in the prime of summer. Steven Spielberg's adaptation of the Roald Dahl children's book faces a giant challenge from Alexander Skarsgard's jungle-raised man. "The Purge" franchise has consistently been a low-budget production but continued to make money at the box office -- the last film, "Anarchy," earned $72 million domestically. July 8: "Mike & Dave Need Wedding Dates" vs. "The Secret Life of Pets"
These light-hearted comedies target very different young audiences audiences. 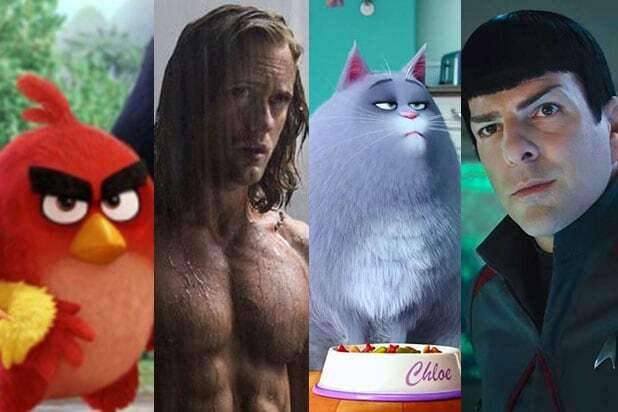 The former is a raunchy R-rated movie featuring Zac Efron and Anna Kendrick, while "Pets" targets family audiences in the tradition of recent Illumination hits like "Minions." July 22: "Star Trek Beyond" vs. "Ice Age: Collision Course"
"Star Trek Beyond" hopes to boldly go where 2013's "Trek Into Darkness" went, with a $229 million domestic gross based on the die-hard fan base. "Ice Age: Collision Course" is the fifth movie in a well-known franchise, which has accumulated $729.6 million in revenue since 2002. August 12: "Ben-Hur" vs. "Pete's Dragon" vs. "Sausage Party"
"Ben-Hur" and "Pete's Dragon" are mostly remakes of movies that young audiences may be too young to remember, while Seth Rogen's R-rated animated movie features a stellar cast of James Franco, Jonah Hill and Kristen Wiig.